cp - Copies files to a new location with a new name depending on the parameters. Can copy directories too, whether recursively (includes all subdirectories) or not. mv - Moves files and directories to another location. Can be used to rename files and directories by keep their source and destination locations the same. rm - Remove and remove directory. Used to delete files and directories from the system, whether one at a time or in batch. man - There’s a running gag in the Linux community that man is the only command you need to know. 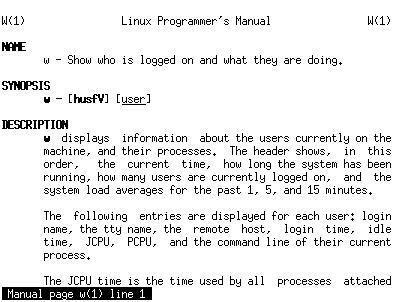 It stands for manual, and it will give you detailed information on commands and aspects of Linux. pwd - Displays the current working directory for the command line terminal. Good for when you’ve lost track of where you are in your system. shutdown - Stops all running processes and shuts down the system. Parameters can be specified to issue a delayed shutdown or a shutdown at a particular time. sudo - Runs commands as root, which means no limitations due to permissions.